Margaret Douglas, Countess of Lennox was born on 8th October 1515 and was the daughter of Archibald Douglas, 6th Earl of Angus and Margaret Tudor, Queen Dowager of Scotland and sister to King Henry VIII. Margaret was born at Harbottle Castle in Northumberland after her mother, Margaret Tudor, fled Scotland after her second husband was threatened by her son King James V.
After Lady Douglas stayed briefly at Berwick Castle with her nurse, Isobel Hoppar, Margaret joined the household of her godfather, Cardinal Wolsey. Following the death of Cardinal Wolsey Margaret was sent to the royal palace of Beaulieu where she lived with King Henry VIII’s daughter, Princess Mary. Margaret and her cousin Mary would be brought up together. Margaret was present at Christmastime at Greenwich Palace in 1530, 1531 and 1532 and King Henry presented his niece each year with a gift of £6 13s 4d. Following the King’s divorce to Katherine of Aragon and his marriage to Anne Boleyn, Margaret was appointed as a lady-in-waiting to the new queen. It was during this time that Margaret met Lord Thomas Howard and they began a relationship, however by 1535 the couple were secretly engaged. By July 1536 Henry had learnt about his niece’s secret engagement and was furious, he had recently declared that Princess Elizabeth like her elder sister, Mary, was now illegitimate and this left Margaret as next in line to the throne therefore she was expected to seek the King’s permission for any potential marriage. As a result both Margaret and Thomas Howard were imprisoned in the Tower of London and on 18th July 1536 an Act of Attainder was passed in Parliament that sentenced Howard to death for his attempt to ‘interrupt ympedyte and let the seid Succession of the Crowne’. Parliament also included in the Act that it was forbidden that any member of the King’s family could not marry without his permission. Margaret remained in the Tower until she fell ill and the King granted permission for her to be moved to Syon Abbey under the supervision of the abbess. Margaret stayed here until she was released on 29th October 1537, Lord Howard was spared from being executed but remained in the Tower of London until his death two days after Margaret’s release on 31st October 1537. “My Lord, what cause have I to give you thanks, and how much bound am I unto you, that by your means hath gotten me, as I trust, the King’s grace his favour again, and besides that that it pleaseth you to write and to give me knowledge wherein I might have his Grace’s displeasure again, which I pray our Lord sooner to send me death than that; I assure you, my Lord, I will never do that thing willingly that should offend his Grace. And my Lord, whereas it is informed you that I do charge the house with a greater number that is convenient, I assure you I have but two more than I had in the Court, which indeed were my Lord Thomas’ servants; and the cause that I took them for was for the poverty that I saw them in, and for no cause else. Be seeing, my Lord, that it is your pleasure that I shall keep none that did belong unto my Lord Thomas, I will put them from me. And I beseech you not think that any fancy doth remain in me touching him; but that all my study and care is how to please the King’s grace and to continue in his favour. And my Lord, where it is our pleasure that I shall keep but a few here with me, I trust ye will think that I can have no fewer than I have; for I have but a gentleman and a groom that keeps my apparel, and another that keeps my chamber, and a chaplain that was with me always in the Court. Now, my Lord, I beseech you that I may know your pleasure if you would that I should keep any fewer. Howbeit, my Lord, my servants hath put the house to small charge, for they have nothing but the reversion of my board; nor I do call for nothing but that that is given me; howbeit I am very well intreated. And my Lord, as for resort, I promise you I have none, except it be gentlewomen that comes to see me, nor never had since I came hither; for if any resort of men had come it should neither have become me to have seen them, nor yet to have kept them company, being a maid as I am. Now my Lord, I beseech you to be so good as to get my poor servants their wages; and thus I pray to our Lord to preserve you both soul and body. Margaret returned to court and in 1539 along with the Duchess of Richmond was appointed to greet Anne of Cleves at Greenwich Palace before joining her household staff, however, Henry decided to ride out to meet Anne at Rochester and Anne was put aside just months later. Margaret fell out of favour with the King once more in 1540 after she embarked on a secret affair with Sir Charles Howard, the half nephew of her previous fiancé, Lord Howard, and brother to the King’s new wife, Catherine Howard. Margaret was back at court to be one of the few witnesses to Henry’s final marriage to Catherine Parr. Margaret was appointed as one of Catherine’s chief ladies as they had known each other since they came to court around the same time in the 1520’s. In 1544 Margaret married Matthew Stewart, 4th Earl of Lennox, a Scottish exile who had been involved in the fight for control of Scotland with the Earl of Arran and also the prospect of marriage with Mary of Guise, but it was an offer of marriage to Margaret that Lennox could not refuse. They would go on to have two children Charles Stewart and Henry Stewart, Lord Darnley and second husband to Mary Queen of Scots. Whilst her childhood friend and cousin, Queen Mary I, was on the throne of England Margaret was assigned rooms in Westminster Palace and in November 1553 Mary told Spanish ambassador, Simon Renard, that she thought Margaret, now Lady Lennox, was best suited to be her successor. Margaret took every opportunity to report gossip to Mary regarding Elizabeth, when Elizabeth was ordered to court after the Wyatt rebellion she was placed in a room in Whitehall that was directly below Margaret’s who turned her room into a kitchen so the noise would disturb the young Princess. Margaret was integral to Mary and upon her wedding to Philip of Spain she granted Margaret the honour of carrying her train into the ceremony. When Mary died in 1558, Margaret was the chief mourner at her funeral. Following Mary’s death Margaret moved to Yorkshire where she lived at Temple Newsam and was the centre of Roman Catholic activity, which caused issues with her cousin and the new queen, Elizabeth. Whilst in Yorkshire Margaret successfully married her son, Lord Darnley, to Mary Queen of Scots causing a rival claim to the throne of England. Margaret was sent to the Tower of London in 1566 by Elizabeth but following the murder of her son the following year she was released. Elizabeth wanted to send a clear message that Margaret’s family had no claims to the throne despite the fact she was grandmother to the son of Mary Queen of Scots and Darnley, the future King James. Following her release Margaret cut all association with her daughter in law, especially as she was implicated in the murder of her husband, however, Margaret did reconcile with Mary. With Mary overthrown from the Scottish throne and her infant son chosen over her, Margaret’s husband, Earl of Lennox, acted as regency until his assassination in 1571. In 1574 Margaret was sent once again to the Tower of London after she arranged the marriage of her youngest son, Charles, to Elizabeth Cavendish – the stepdaughter of the Earl of Shrewsbury. 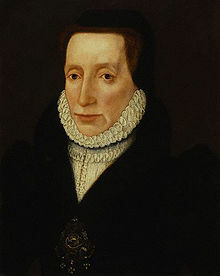 Margaret was eventually pardoned after her son’s death in 1576. Following her youngest son’s death Margaret cared for his daughter, Lady Arbella Stewart. However, Margaret died shortly after her son on 7th March 1578. Margaret died in deep debt however, Queen Elizabeth I paid for a grand funeral alongside her young son in the south aisle of Henry VII’s chapel in Westminster Abbey. In 1515, Margaret Douglas was born to Archibald Douglas, 6th Earl of Angus, and Margaret Tudor, the Dowager Queen of Scotland. Therefore making the younger Margaret niece to the reigning Henry VIII. Margaret’s relationship was not easy going with the King of England. She twice incurred his wrath due to her personal relationships. The first time was due to her unauthorised engagement to Lord Thomas Howard, who in 1537 died imprisoned in the Tower of London. The second time was due to an affair with the brother of the current Queen, Catherine Howard. Margaret was finally and legally married in 1544 when she became the wife of Matthew Stuart, 4th Earl of Lennox. Her marriage produced two living children Charles and Henry. Henry in later life became Lord Darnley. Upon the ascension of Elizabeth I, she roused suspicion when she negotiated the marriage of her son Henry to Mary, Queen of Scots. This strengthened their claim to the English throne and it probably worried Elizabeth as it was a cause for rebels to focus on. Henry and Mary had one son, James. He later became James I of England after Elizabeth’s death. Margaret died on 9th March 1578, from unknown causes. Rumours at the time suggested that she had dined with Robert Dudley, Earl of Leicester, just days before she was taken ill and that she had been poisoned. Was this a suggestion that the Queen was involved in order to suppress any further rebellions? There was never any evidence of this and so it shall be left as rumour. 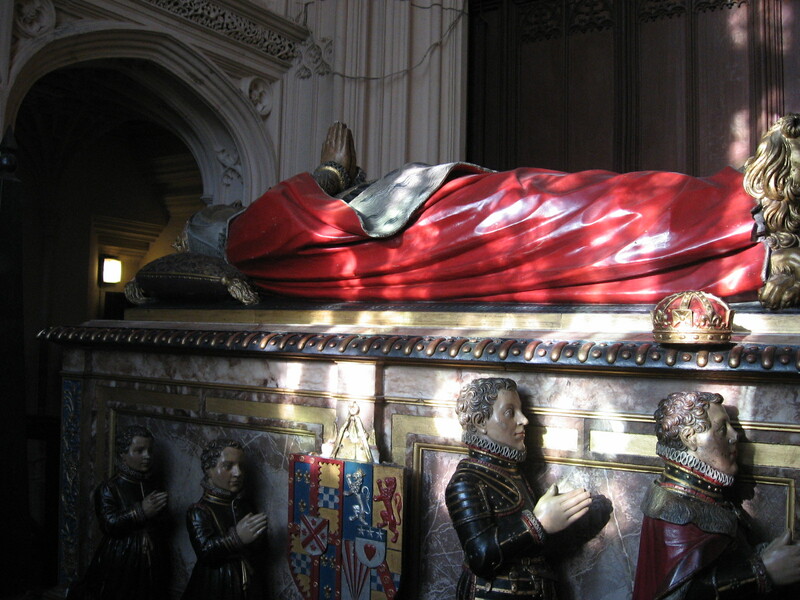 Elizabeth I provided Margaret with a grand funeral in Westminster Abbey and she is buried sharing a grave with her other son, Charles in Henry VII’s chapel.